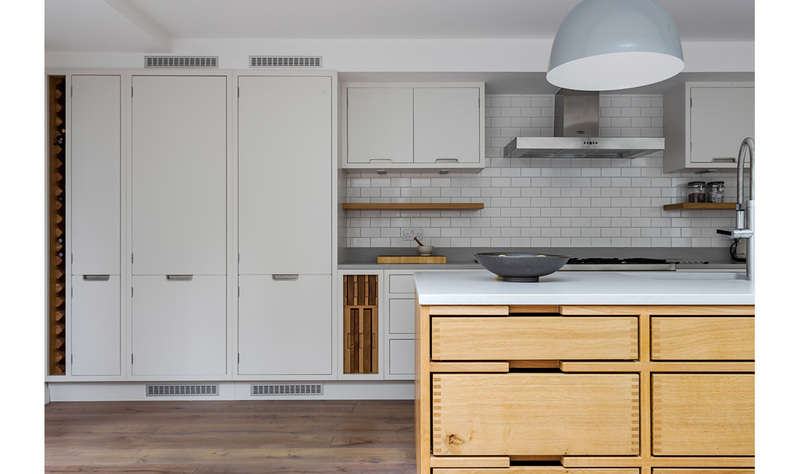 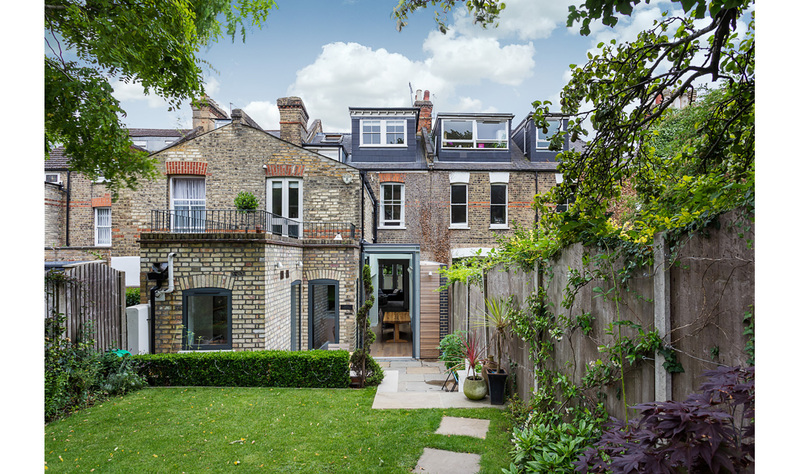 Knott Architects extended and remodeled the ground floor of this traditional North London terraced house, enclosing the side return with glass. 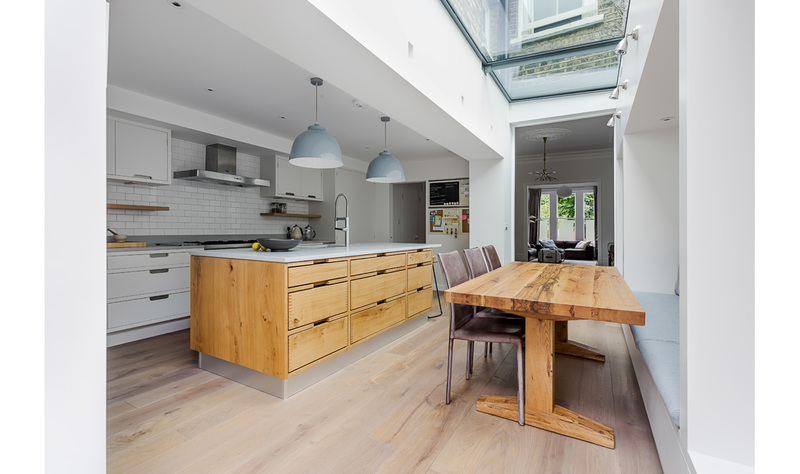 The existing house suffered from a cramped kitchen/dining space at the rear and, like so many London houses, an unused central dining room. 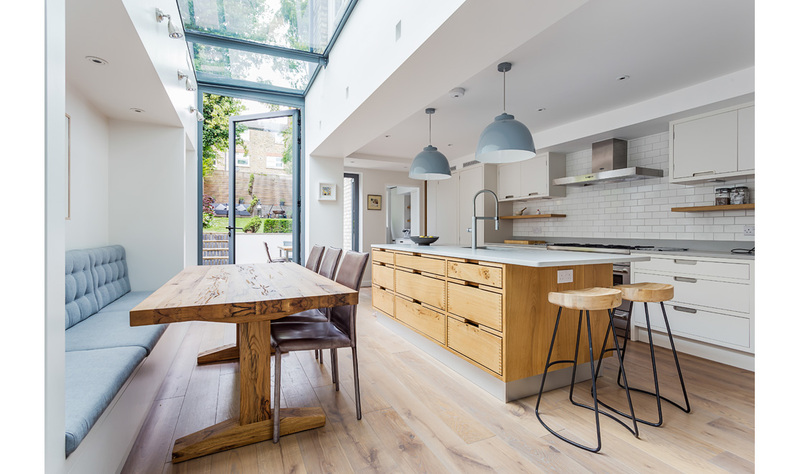 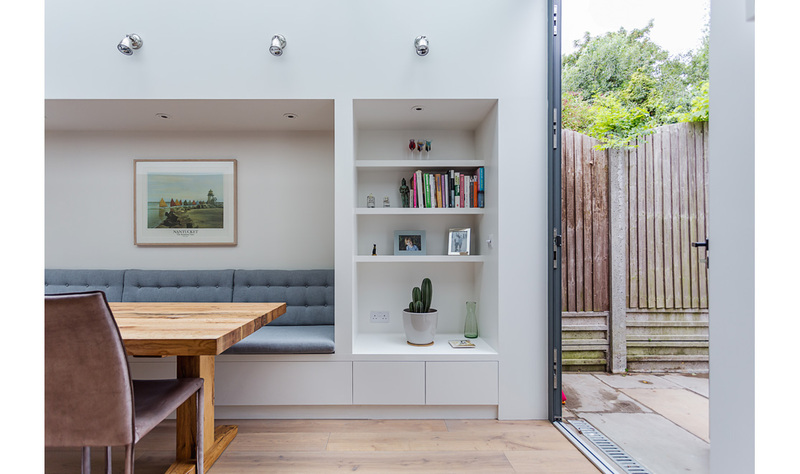 The glazed extension, featuring an oversized glass door onto the garden, connects spaces together, while bringing natural light into them. 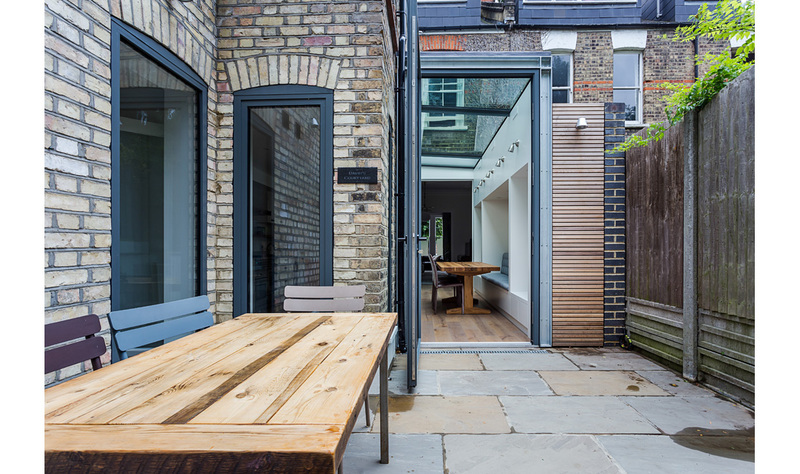 The form of the extension respectfully steps down towards the neighbours. 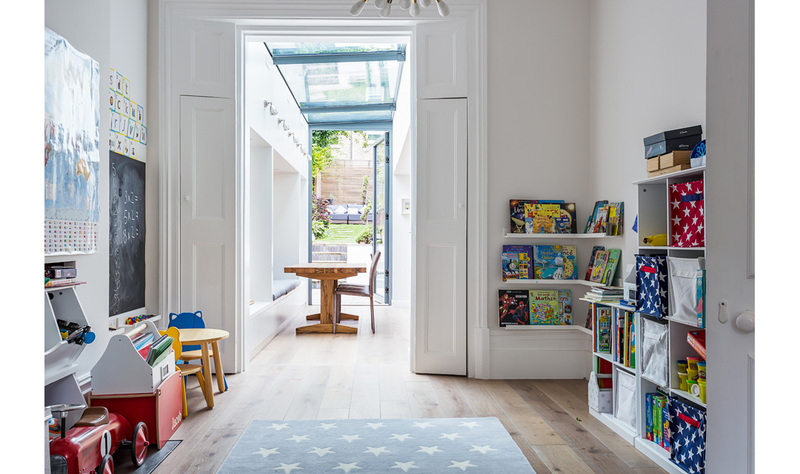 New timber flooring throughout, with underfloor heating, further unifies the spaces.